So smitten is Flavour that he gave Anna full ownership of one of the houses he owns in Lekki unknown to Sandra. The two lovebirds Anna and Flavour did not stop dating but removed their relationship from the social media, same way Sandra was advised to do and that way, nobody is bashed online. 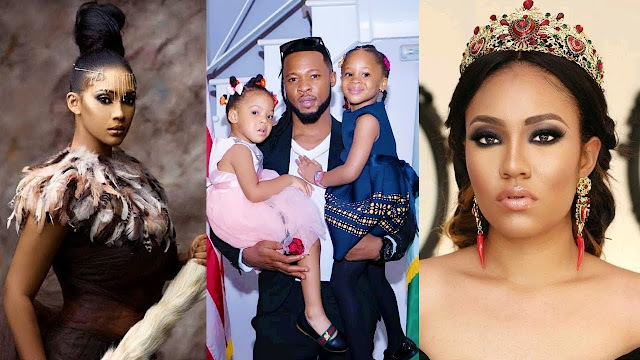 Insiders say Whilst Sandra is currently happy and Nursing her Child away from all the drama and stress, Anna Banner is currently in shock because the Pregnancy news hit her bad and she has refused to take calls from Flavour who has been apologising and begging her to forgive him….. The Rumour mongers allege that Sandra has affirmed her position as Flavour’s wife and whether he denies it or not,he knows the truth and so does Anna.